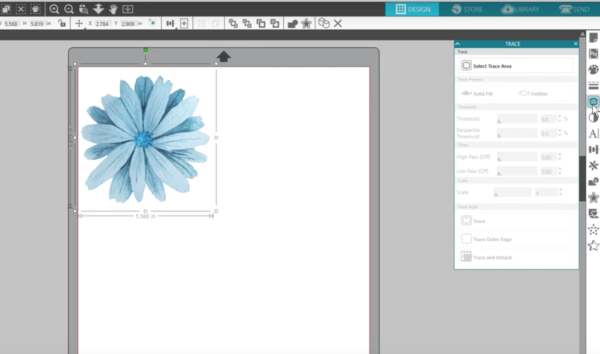 In addition to working with designs in Silhouette Studio® that you purchase from the Silhouette Design Store or create from scratch, you can also import bitmap, or raster, images. 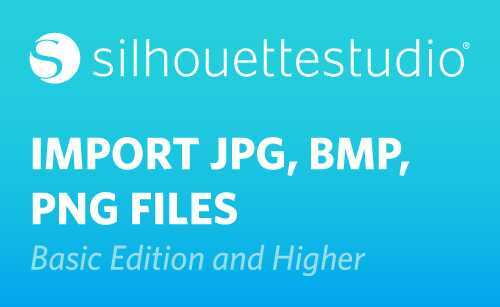 These include JPG, PNG, and BMP files. These types of files are, simply put, pictures that you can open in Silhouette Studio®. Go to your Open icon and navigate to where you have an image file saved. You can see all the file types it will open as you look at the drop-down list next to the file name area. 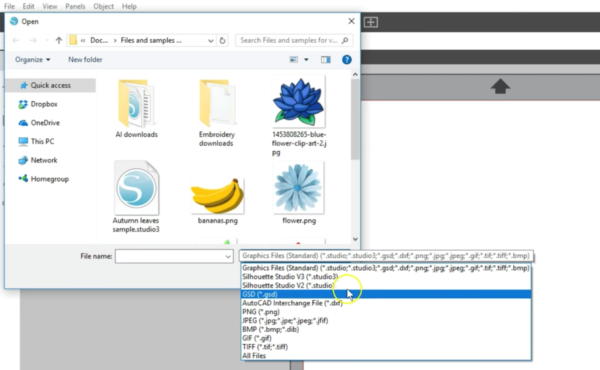 We’ll open the flower PNG file. You can resize an image file, print it, or even recolor it in Silhouette Studio®, but so far the software doesn’t know how to cut it. You can use an image like this in conjunction with Trace (to assign cut lines) or Print & Cut (once it has cut lines). 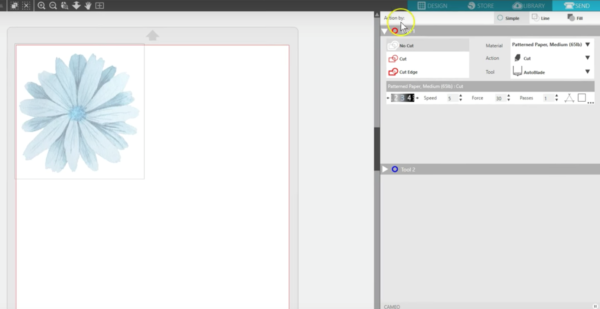 Tracing and Print & Cut are covered in separate tutorials. Image file types like JPG, PNG, and BMP can be opened in all editions of Silhouette Studio®. 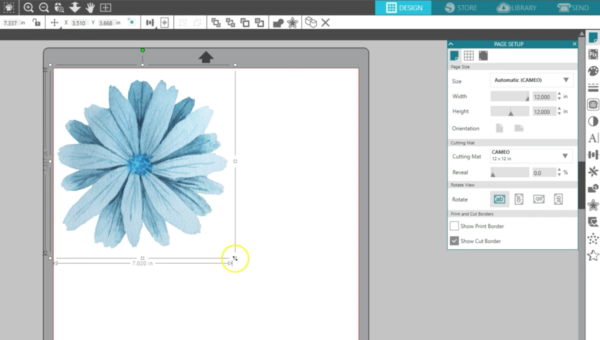 Please check our other tutorials to learn various ways on how to use imported images.